I’m a big believer in the buy once, cry once mentality. After churning through one piece of cheap gear after another, I finally realized that if I purchased a few high-quality products instead of several low-quality products, my camping experience would be infinitely better, and thus far it has been. 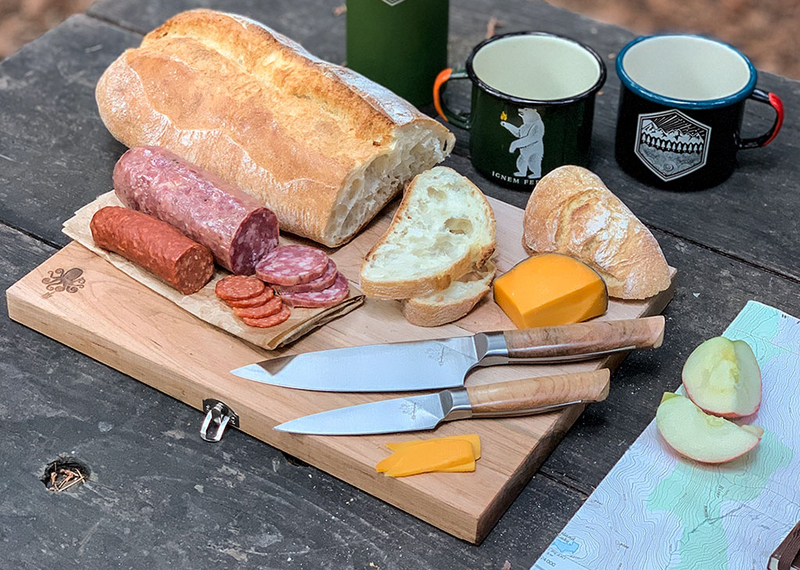 That’s why I love finding items like this field kitchen knife set from Prometheus Design Werx. 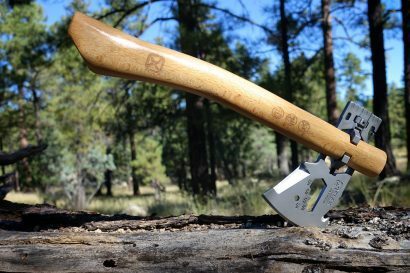 Each one is handmade right here in the USA with outstanding attention to detail and the durability to last a lifetime. 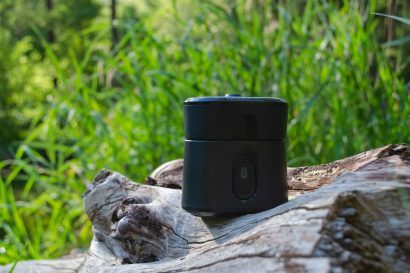 Let’s take a look at this limited-run product before its gone. 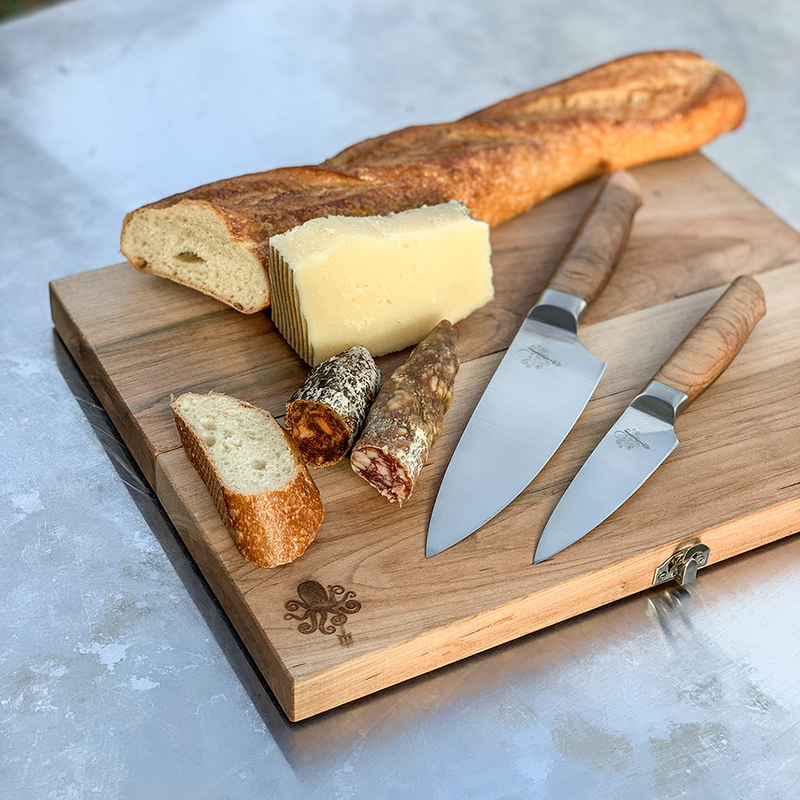 The set comes with two knives, a 6-inch chef knife, and a 4-inch paring knife to tackle a variety of tasks. 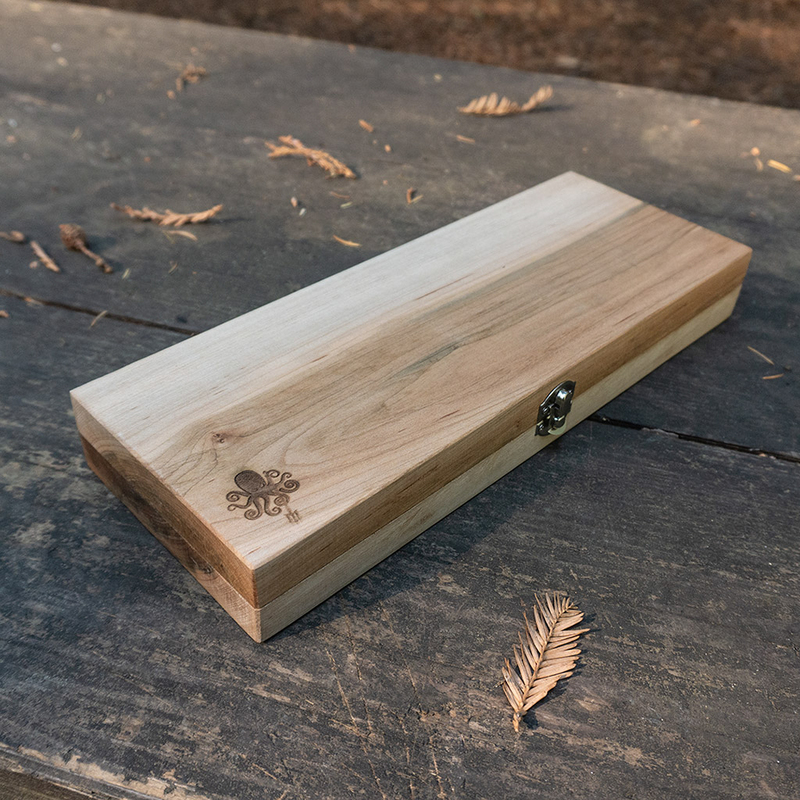 Each nests neatly inside the folding cutting board and carrying case combo, which is made from reclaimed American maple hardwood. The case is lined with felt to protect the handle from wear while magnets hold the blade in place preventing rattles. 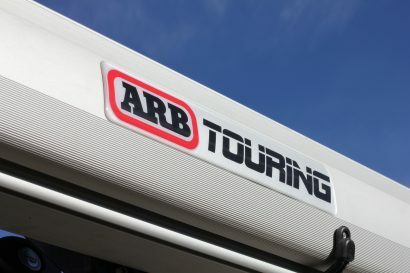 The blades themselves are made from Carpenter CTS BD1N steel, which carries a rating of 61RC on the Rockwell hardness scale, ensuring it will hold an edge without being so hard that it’s prone to chipping. 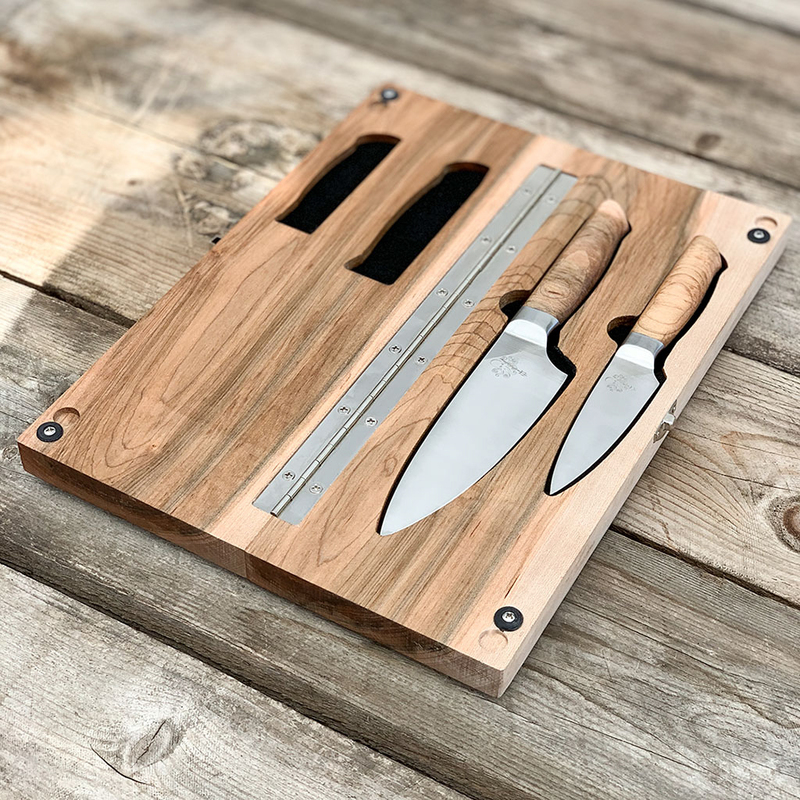 Both the blades and the cutting board feature their SPD or Special Project Division label, and the embossed form of a kraken on the steel or wood. No matter how you slice it, this field kitchen set looks great and will be a fantastic addition to any vehicle or campsite. 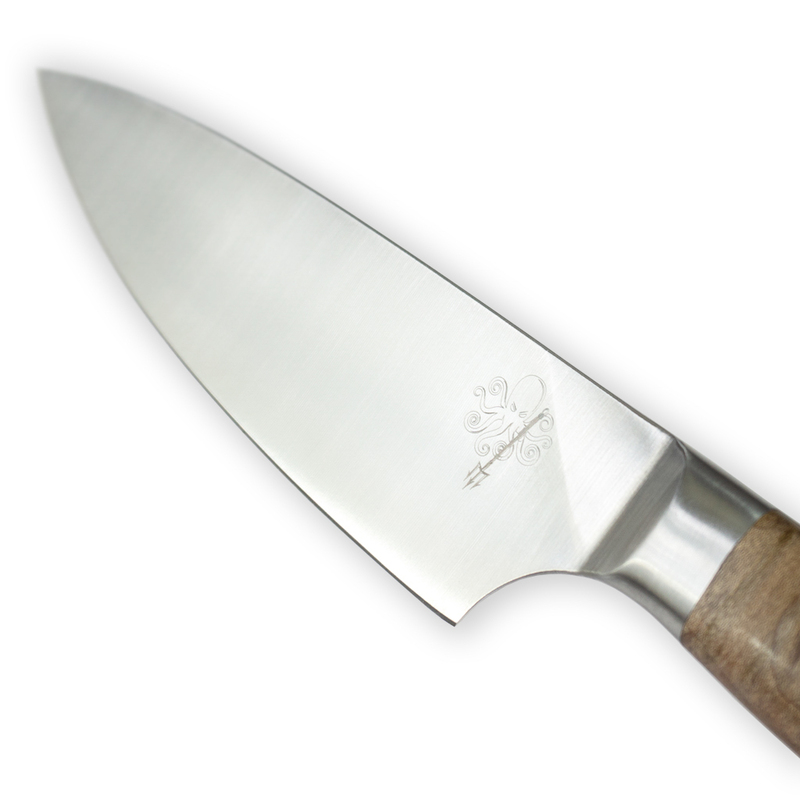 Of course, at a release price of $259 they certainly aren’t cheap, but then again, high-quality kitchen knives rarely are. They are, however, worth it. The release date is set for tomorrow at noon PST, so be sure to check it out quickly, as Prometheus’ products always sell out fast. To learn more about Prometheus Design Werx, or place your order, check out their website here.